Continuing on the promo tour, Jennifer Carpenter hit the red carpet at the premiere of 'Brawl In Cell Block 99' on Friday(September 29th) at the Egyptian Theater in Hollywood, CA. 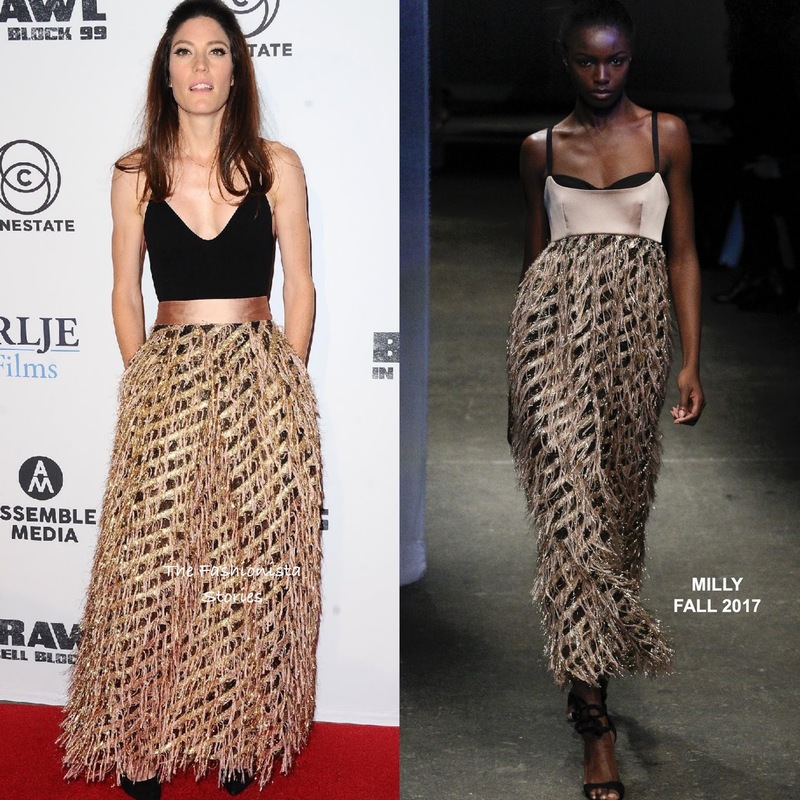 She stepped out in a MILLY FALL 2017 dress which was modified from the runway version. Her long fringe skirt with side pockets was teamed with a black tank and featured a contrasting satin waistband. On the beauty end, she kept it simple with minimal make-up and a half-up half-down hairstyle which topped off her look along with black pumps. Which version of the dress do you prefer, Jennifer's or the runway's?